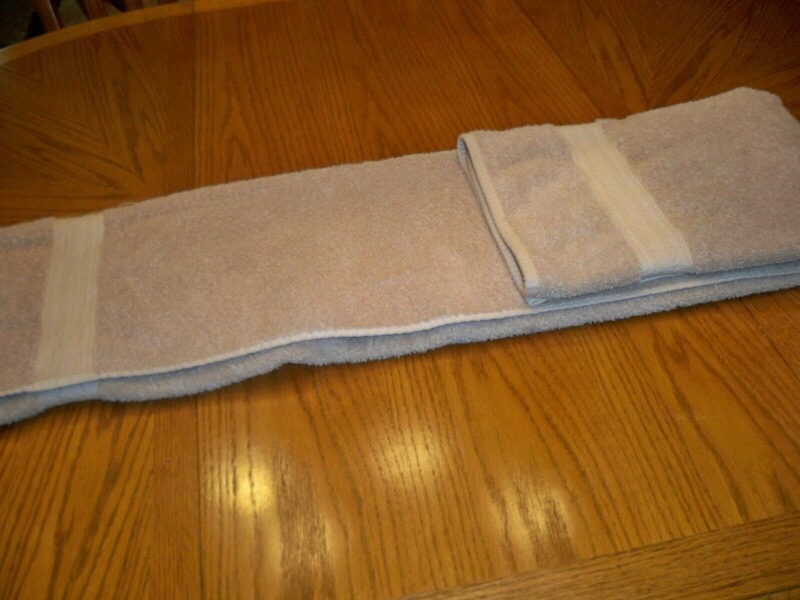 Fold towel in half long ways. Continue doing this until your towel is folded the whole way to the bottom. This will save a lot of space in your towel closet, or shelf.